Klein analyzes, summarizes, and describes the technology and strategies she uses in her flipped classroom workstations. Since she does not want to push students’ parents to let their children borrow technology, or some students may not have any access, Klein says she uses “internal flipping” in which students spend fifteen minutes in one workstation before rotating to the next (para. 2). Students watch a fifteen minute lesson made by Klein on educreations with her handwriting on the Whiteboard or work in small groups. According to Klein, she cannot add time to class, but she can divide time between teaching and facilitating small groups with the work stations. With the internal flipping concept, Klein uses more than one gadget. Students listened to tape recorders that are in “perfect condition” before switching to a different station with Livescribe (para. 10, 11). This tool lets you record a lecture and write important notes. When you tap on the special paper, the Livescribe recorder will jump to that particular point. (The College of Education ITC has Livescribes if you would like to experiment.) It is a great tool for students who struggle with memory barriers. Students may not remember a teacher’s exact words, and the Livescribe helps them to remember through hearing or tapping on a note. Klein’s article is a significant example for teachers at any level because she still incorporates flipped learning through workstations. This can be done at the middle and high school level while also using different technology, new or old. Students can watch or listen to a lecture on a recorder or iPad. In another station, the teacher facilitates group learning. In a third workstation, a group experiments with a project. Students in the last section work individually, and they can still ask the teacher questions while they work in a small group. This model keeps with the fifteen minute flipped segment and still allows for personalized help from the teacher. I also like Klein’s model because she incorporates collaboration early in students’ education. She prepares them for a future of peer review. If more classes practice internal flipping, it might strengthen peer review because students learn how to interact with each other using a variety of technology. Klein encourages collaboration even more in her iPad section. She uses a Max HandStand for the iPad. It holds the iPad and it will turn. 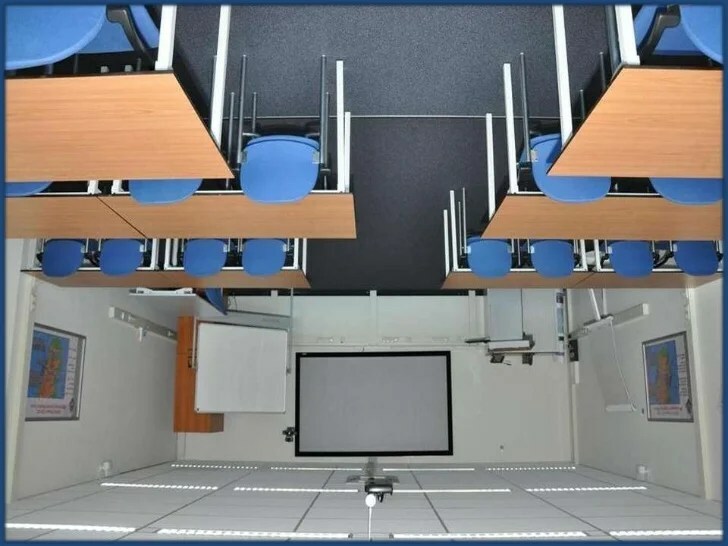 Students can easily see the screen at the same time without worrying about breaking it because it is secure in the Max HandStand (Klein para. 14). In this instance, students work together sharing content. Klein’s article is worth reading because she provides a lot of examples, strategies, and content she uses with her elementary classes. Her workstations’ ideas are adaptable for middle, high school, and even college. I would use them in a hybrid or class in which students learn about how to interact with each other and technology. The most significant aspect of Klein’s article is that she provides a potential solution for teachers worried about students’ access to technology or teachers who have limited resources. Klein, Erin. “How to Set Up Digital Workstations.” Scholastic. Scholastic, 3 Dec. 2013. Web. 27 July 2014. The theme of storing communication and writing information in one place repeats n Scott Warnock’s book. While he explores the larger world of resources on the Internet in Chapter 18, Warnock ties his points together by stressing whether you store students’ responses, high-stakes assignments, or emails from students; all documents should be in teachers’ folders, subfolders, and a designated spot in the CMS system, or on a blog. The most successful teachers and professors organize their contacts or documents in one place. They give a document a precise name. For example, BeccaBridgesAnnotatedBib.doc. Everything has a label and a place. I believe this primary example connects to chapter 17 because your assessment from students and of yourself will be better if asynchronous communication and assignments have a designated spot. Courtesy of apartmenttherapy.com. Just as Sheldon feels comfort in knowing his spot on the couch is always there, students should feel comfort in knowing exactly where their documents are kept. They know their professors store their emails and communications. In chapter 16, teachers value each other’s communication and resources. They also learn to store them in one place. Warnock again stresses the importance of storing resources and communication in one place in chapter 16. This becomes an important tool for teams of teachers. I liked chapter 16 because it discusses how the online environment becomes less stressful when teachers work together by collaborating online. They share content or ideas to lessen the strain of work individually. Warnock writes that teams of teachers “can design general course materials tailored for individual sections …” (163). One strength of Google Drive, if teachers do not have a CMS system, is that teachers can create folders within the program. Teachers can upload materials from other places, including old documents, into the designated Google drive folder. Every teacher with whom you share the folder receives comfort in knowing they can access the materials. Warnock presents an important point at the end of chapter 16, which significantly connects with chapter 17’s focus on assessment. He writes that “less than 30 percent of full-time faculty who teach online receive detailed training about how to do so” (166). If teachers fail to understand their strengths and weaknesses when teaching online, they might not know the best ways to assess themselves. For example, Warnock suggests that some professors use surveys. While they might be useful, surveys fail to give instructors a complete picture of how they’re doing with teaching online. According to Warnock, teachers should “draw on vast number of texts” from students and those created by teachers (169). By using discussions from message boards or blogs, teachers gain information about students’ understanding of text material. Teachers see whether or not students are engaging with text, writing, and their peers. Teachers consider how students interact online based on the information from blogs, emails, or also synchronous conversations. In chapter 18, Warnock expands on what tools and books teachers can use to improve their online or hybrid courses. As a teacher, I am interested in using Rita-Marie Conrad and J. Ana Donaldson’s section in Engaging the Online Learner about “using games and simulations” (173). When students engage in familiar content with which they find intriguing, they are more likely to interact with material and classmates. I think it will also build a collaborative environment because students may practice their communication skills with one another. When Warnock reminds me of the colleges which provide the strengths and weaknesses of “different CMS packages” from chapter 3, I believe these websites are important for teachers because they may evaluate systems their schools use. Interested in research, I like to know which CMS work better than others and why. Which features am I most interested in? That is a question the websites can answer. Warnock, Scott W. “Virtual Teaching Circles: Leveraging Teacher Time and Effort.” Teaching Writing Online. Urbana: National Council of Teachers of English, 2009. 163-167. Print. Warnock, Scott W. “Course Assessment: Taking Steps toward Knowing How Well We Are Doing.” Teaching Writing Online. Urbana: National Council of Teachers of English, 2009. 168-171. Print. Warnock, Scott W. “Resources: A World of Help Out There.” Teaching Writing Online. Urbana: National Council of Teachers of English, 2009. 172-178. Print. Teachers and students have misconceptions about plagiarism. According to Scott Warnock, some teachers might have taken an aggressive approach towards students who plagiarize, but most of the time, “students often do not know they have plagiarized” (157). How is this possible? It all comes down to discussion. Let students become a part of the exploration and discussion. Ask them how do we credit others’ ideas? What style of writing should we use? What is different about giving an author credit in a news article versus an academic paper? Warnock states that this is an approach teachers should take because it promotes discussion about writing, credit, and research (157). Just as we want to teach students how to review and talk online, we want them to know that giving credit legally and ethically matters. A comic courtesy of Randy Glasbergen at glasbergen.com. Warnock writes that the students he worries about plagiarizing is the “lazy student who buys a paper and slaps it up as his or her own …” (157). To discourage plagiarism, OWCourses are made to encourage an open environment where everyone writes and reads each other’s work. A fresh pair of eyes make a difference. Warnock said when everyone in class participates in creating an honest culture online, it limits or eliminates plagiarism (153). The idea of an open discussion or online class reiterates Warnock’s point about the importance of peer review from earlier chapters. When students spend time looking at each other’s work, they get to know writing styles. They’re not talking face-to-face in class, so they get to know their classmates in a different way. Students may spot something dishonest in another student’s writing, and share it with the professor. However, I prefer Warnock’s positive reinforcement of peer review, which discourages plagiarism. Students use one another’s post or blog as sources. They learn how to cite their work. Warnock states that even the student who buys a paper must incorporate classmates’ quotes or points with this assignment (155). Another way to deter students from plagiarizing includes low-stakes assignments. Warnock writes that students often feel more pressure during high-stakes assignments, and are then more likely to cheat (159). Students can learn more, and teachers pick up on their style of writing the more drafts students’ write. Teachers also pay attention to drafts, and learn the students’ writing process. Focus on helping students’ improve. Teachers also set the example. I am surprised to find out that Warnock said most books he’d read about teaching writing online did not have information about copyright law. It is still an area on which I’m not fully competent, but Warnock is correct in saying that we set the example for our students. “Observant students will notice this hypocrisy, and they may see the double standard as an invitation to break the rules” (Warnock 160). We must know the copyright laws and how we can use materials properly in an online educational forum. Captain Copyright was an actual comic character created in Canada. While we should not use Wikipedia as a source, the photo is courtesy of Wikipedia. Warnock, Scott W. “Intellectual Property: Plagiarism, Copyright, and Trust.” Teaching Writing Online. Urbana: National Council of Teachers of English, 2009. 152-162. Print. When considering flipped classrooms, there are a few functions or items not clarified. How can flipped classrooms offer differentiated instruction for students with disabilities such as a speech impairment? What can flipped classroom teachers do with students who lack technological resources at home? Whether considering students with disabilities or students with limited or not access to technology at home, Bridget McCrea shows great apps on the iPad and how a teacher uses flipped classroom instruction for students with limited access to technology in her article “Flipping the Classroom for Students with Special Needs”. In what ways can students with a speech impairment, some of whom are unable to speak, respond to a teacher’s flipped classroom lesson? These students may take an online course or hybrid course. In the Cornwall-Lebanon School District, students with speech impairments use a DynaVox at school, but not when collaborating listening or responding to a teacher’s flipped classroom lesson. Courtesy of Turning Point Technology. DynaVox has been an assistive technology tool used by some schools for students with speech disorders. One is available in Withers’ ITC. Unlike DynaVox, which students do not take home, Proloquo2 is an app on the iPad, which allows students to respond to teachers and classmates in an online environment. McCrea writes if a flipped classroom has an interactive part, the student can respond using his or her iPad. The lesson and the app work on the same device. This is another form of writing. Since the student’s vocal communication is limited, he or she can textually express him or herself using Proloquo2 or a similar app. The app works better than the DynaVox I’ve seen in the ITC because it will change verb tense according to a noun or sentence. Students have more control over what they want to say. While not as expensive as a DynaVox, the Proloquo2 is not your average 99 cents app. According to McCrea, the app costs $219.99 (para. 2). Cost is always something online and f2f teachers must consider before jumping on board. The other disadvantage of an app like Proloquo2 is that not every student has an iPad assigned to him or her by the school district. Not every student has Internet access at home, which limits the involvement of a student with speech impairment. One of the most significant reasons for reading McCrea’s article is because she helps teachers considering flipped classrooms to think about non-traditional students. Non-traditional student incorporates kids with disabilities, exceptional, or from low economic backgrounds. How can flipped classroom lessons benefit all students? She uses the example of National Teacher’s Academy. According to McCrea, 90 percent of the school’s students are “eligible for free or reduced lunch – and as such, [do not] always have access to technology outside of school …” (para. 7). Teacher, Melissa Hausser, uses flipped classroom lessons, but she adapts them for her students. In order to facilitate students’ working, she uses a center method. Since there are not iPads for every student, a larger group of students watch a lesson in class on the iPad while Hausser works with a group of five (McCrea para. 8). I had not thought of ways of using flipped classroom lessons in class, but Hausser’s example provides a hybrid example which may work for students with limited access to computers at home. I think using flipped lessons in class may also help students with disabilities because the teacher will work with them in a small group. By using a center method, the flipped lesson in class may also help students feel like they’re receiving one-on-one attention. That is reinforced when students move into a small group to work with the teacher. The students receive one-on-one attention from the teacher in an online forum, and then during small group instruction. This may help students feel more comfortable with the teacher’s role in technology. Assistive technology has been used in the classroom for everything from remedial reading to DynaVox. While helpful, assistive technology is also expensive. For example, McCrea writes that a DynaVox costs $6,000 (para. 2). Gasp, what? While low tech assistive technology is inexpensive, other items like DynaVox will leave moths in a school’s purse. As McCrea also discusses, other assistive technology migrates to apps and online program. For example, my bosses wanted my student to use a math computer program from a ten year old CD. None of the newer laptops would accept this CD. Educational programs, like the program provided on the CD, are now apps or they are provided through online sites like IXL. What educators, like Hausser, will find out involves including flipped classroom lessons for students without technology at home. McCrea, Bridget. “Flipping the Classroom for Special Needs Students.” The Journal. The Journal, 30 June 2014. Web. 07 July 2014.